About 1.5 million seniors live in nursing homes. A further 1 million live in an assisted living home.As your parents age, you may be tasked with finding an appropriate senior care home for them. You’ll want them to live somewhere where you can feel confident about leaving them. While many older adults may be reticent to enter senior care homes, it may become necessary. This can be due to safety concerns in regard to your parents living independently or you no longer being able to tend to their needs on your own. In this article, we’ll go over a few tips for choosing a senior care home for your parents’ needs. Sometimes, a massive change like moving into a senior care home also comes with moving your parent somewhere else. This may be a good time to consider moving your parents closer to you or your siblings. In some cases, seniors would prefer to stay where they are geographically speaking, regardless of if their children live there or not. This can be because they have friends and other family members close by. They may also want to continue to attend their local synagogue or church and stay as active in the community as they are able. If your loved one is still able to carry conversations about serious topics like their care, include them in the decision. Some parents may outwardly state they prefer to live closer to their children. Listen to them and take this into consideration when starting the process of choosing a care home. If there’s a senior care home near your house that you think would be a good fit for your parents, arrange to have a tour. That way, you can get a better idea of what it is like inside of the facility. You’ll be able to see residents in action, what activities they offer the residents, the food they eat and even some of the residents’ rooms. For those choosing senior care homes to meet more physical care for a parent rather than memory care, bring your parents along with you. They can help make the best decision for themselves. Unless you’re an only child without any other family, you should include other relatives in the process of choosing a care home. This is especially the case if someone else in your family will contribute either financially or will help you take care of your parents by helping them attend doctor’s appointments or go to activities outside of the care home. If someone else will also be partially responsible for your parents, the decision should be one you’re all happy with. You don’t want to have your parents put into a care home that is inconvenient or unaffordable for you or your relatives. When you take a tour of a care home, speak to the residents there who are able to hold a conversation and are willing to speak to you. Ask them about their experiences thus far in the care home. You should be aware that some elderly people might give the care home a bad review because they were reticent to come in the first place. This isn’t always a reflection on the home itself but is typically a reflection of the individual’s frustration with his or her situation. You should also speak to the children of some of the residents and see what they say about their parents at the care home. Ask them if they have been happy thus far with their parents care. Do they like the staff? Are they caring individuals? Do they trust the staff? Does the care home offer enough activities for their parents? Finding a care home is a little bit like a puzzle. Not only will you want the care home to be convenient for you and your other relatives, but you will want it to be a good fit for your parents. You should discuss some basics with the care home before committing. Is there a nurse on duty or on call at the care home for emergencies? Ask about the food and consider whether it meets your parents’ dietary needs and preferences. Ask about medication administration and whether they can offer reminders or assistance, and what the cost is. Other crucial things to ask about including what your parents can take from home. Can they bring in some of their own furniture? What about pets? Some care homes will allow both and others won’t so be sure you’re aware of the rules before committing. 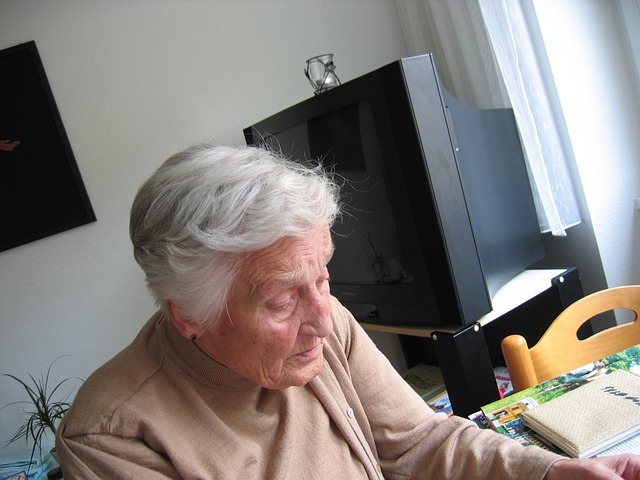 Helping your parents move to a senior care home can be a frustrating and emotional experience. But if you know exactly what you’re looking for, it can run a little bit more smoothly. No senior care home will be perfect, but you can find one that meshes well with your parents’ needs. For more information on care homes, or to schedule a visit to discuss senior care for your parent who needs memory care, get in touch with us.